Nearly 14% of Floridians are suffering from some sort of disability. But how many of those individuals are actually getting the support they deserve? Reports show that over 50% of disability claims are denied on the initial try, making the experience very frustrating for many individuals. Complicating matters, it’s not up to individual states to decide if you qualify; that job is left to the Social Security Administration (SSA). When you apply for disability, the Sunshine State then has to work with the SSA to determine whether or not you meet the criteria for Social Security Disability (SSD) or Supplemental Security Income (SSI). This can be a lengthy process, and after a denial or two, some deserving Floridians simply throw in the towel and go without disability support because they’re tired of jumping through hoops. We wish we could tell you that we have a magic formula guaranteed to get you approved for disability benefits, but it’s not that easy. However, there are a number of things you can do to give yourself an edge when initially applying to Disability Determination Services (DDS) or presenting a case to an Administrative Law Judge (ALJ). 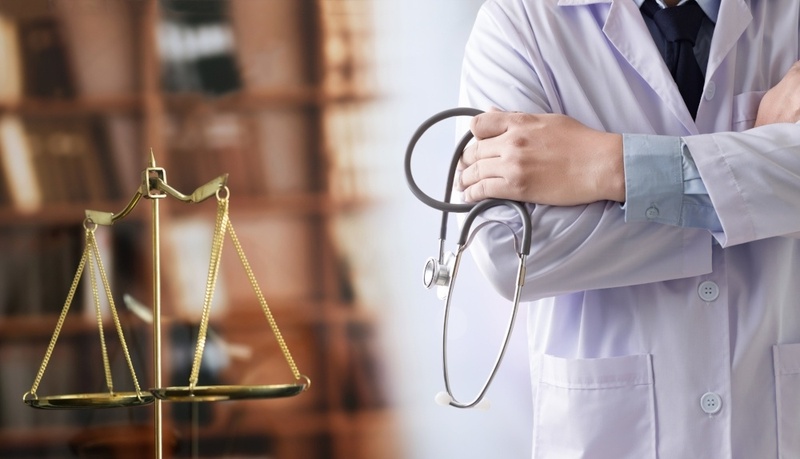 If a particular event caused you to become disabled but you didn’t apply for months or even years, or if you became diagnosed with a disability and put off application, DDS or the ALJ may determine that you don’t feel the condition is serious enough to warrant benefits. You’re expected to complete a lot of paperwork and provide a lot of documentation when applying. Be sure to dot every “I” and cross every “T”. That one question you fail to answer, or that one document you fail to submit, could delay your case or cause DDS to outright dismiss it. Also, be sure to get your Residual Functional Capacity (RFC) forms completed by your physician. They are used by DDS examiners to make initial determinations in your case. Going to the doctor is no fun, but the more regularly you make doctors’ visits the larger your volume of evidence supporting your claim becomes. And, it should go without saying that if you don’t yet have a regular doctor, get one. One-time visits to a variety of random doctors reduces the validity of your claim. If you can’t afford to see a doctor regularly, read our story I May Qualify for Disability But Can’t Afford to See a Doctor. If you have been prescribed any medications, therapies, or health and wellness regimens related to your disabling condition, you should follow them and get any kind of record of it that you can. This may include keeping records of your prescription refills, having a therapy nurse sign a check-in form, etc. Showing a dedication to your health and the desire to improve illustrates to the DDS or ALJ that you are doing everything in your power to get better. And, be aware that refusal to follow prescribed treatment is a basis for denial. Even though you may be suffering an immense amount of pain, remaining respectful and patient with those working your case will only help you that much more. Try to remember that those working your case—DDS and SSA employees, disability advocates or attorneys—are inundated with cases and phone calls and are trying to do the best for you and others. If you’re preparing to go before an ALJ, be on your best behavior. That means referring to the ALJ as “your honor,” arriving early, dressing appropriately, watching your tone, and shutting off your cell phone. Over-exaggerating your symptoms is a surefire way to lose your case; remember, the DDS and ALJs have seen and heard it all before. So unless it’s true, presenting yourself as completely out-of-commission can hurt your case. After all, you don’t have to be bedridden to receive disability, you just have to be unable to live your life normally or perform the duties of your job. Also, while less common, don’t underplay your symptoms out of pride; it defeats the purpose of applying. As we just covered, honesty is the best policy. However, disclosing unsolicited information that could damage your case is counterproductive. If not directly asked, don’t share your history of drug or alcohol abuse, your criminal record, or like matters. While not grounds for immediate denial, these certainly won’t help your cause. Hiring a professional disability advocate when applying can increase the likelihood of your claim being approved since they know SSA policies and procedures. A reputable advocate will help you collect the necessary documentation, fill out paperwork, present your case, and cut through red tape. If you’re appealing, representing yourself often backfires; there’s no such thing as a “slam dunk case.” An experienced disability attorney can help you prepare and present your case in a professional manner, increasing your odds of walking away a winner. What if Social Security Tells me They're Going to Cut off my Disability Benefits?